Robot Restaurant is a sci-fi theme restaurant in Shinjuku, Tokyo. The restaurant is well-known for its spectacular performance by robots and dancers. 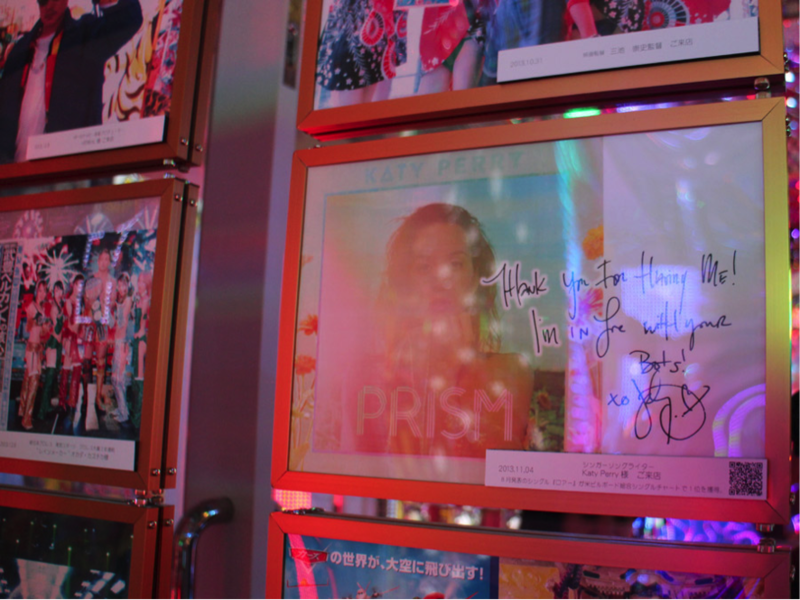 Katy Perry went during her stay in Japan and gave her signed CD. Operating Hours 4:00 P.M. ~ 11:00 P.M. *Reception from 9:00 A.M.
Katy Perry loves Tokyo Disney Land. Here in this fairytale like, fantasy world, she could temporarily forgot about her world-celebrity status and heartily enjoy this real-life imaginary world. Operating Hours Typically from 9:00 A.M. ~ 10:00 P.M.
Harajuku is a shopping district area around Harajuku Station, which is the center of teenager fashion culture. 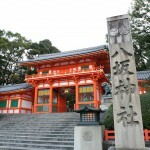 It is a popular shopping place for adults as well as home to many historical sites. 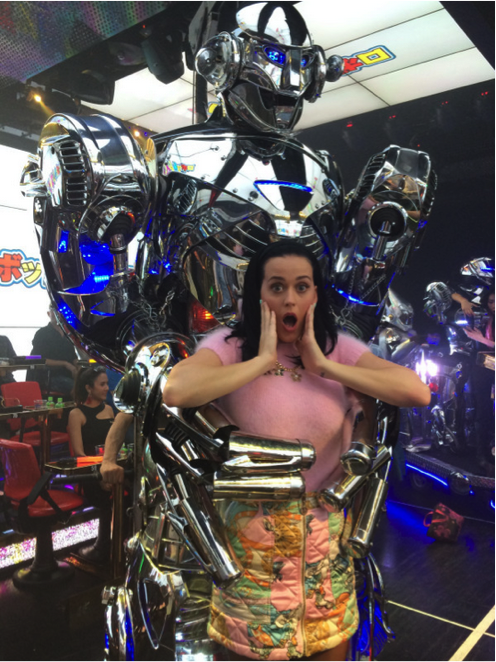 During her Japan tour on April 2015, Katy Perry went to Harajuku, wearing Japanese school uniform and a fluffy facemask to cover her face, on her off day. 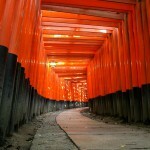 This really shows her great interest in Japanese fashion and culture! 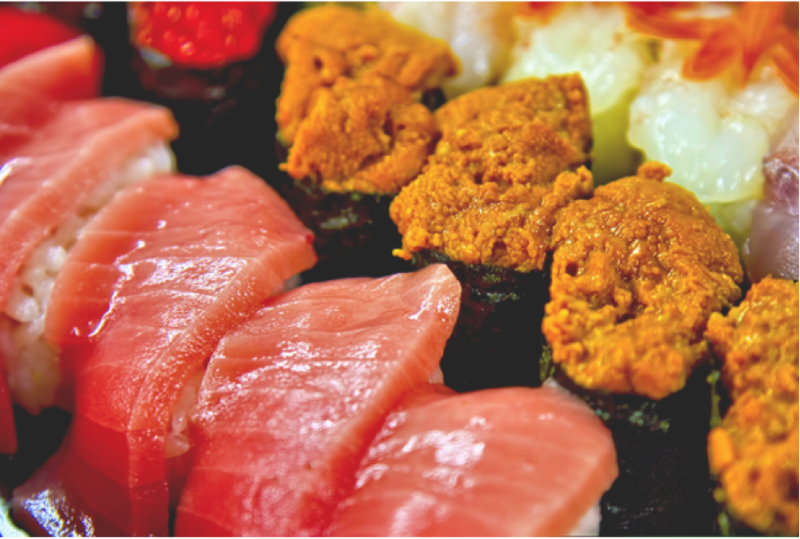 Katy Perry is known to be a BIG FAN of Sushi! 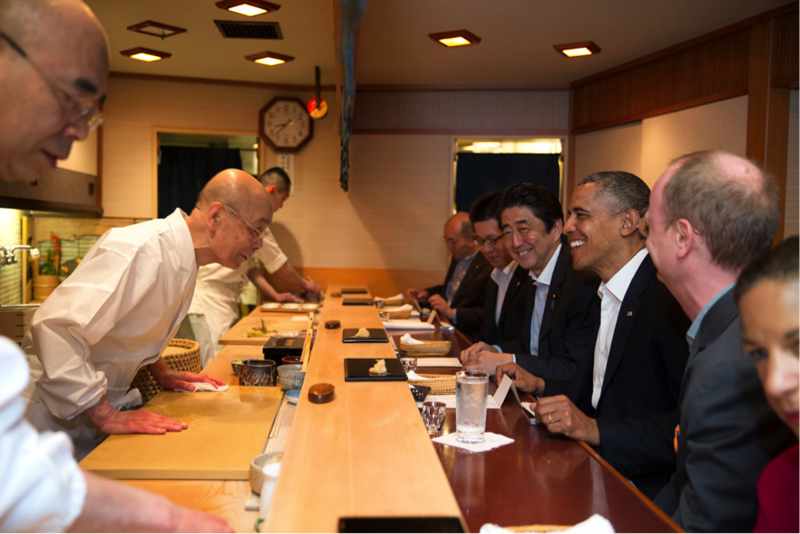 A few years ago, she visited Sukibashi Jiro, a sushi restaurant by the world greatest sushi chef, Jiro Ono. 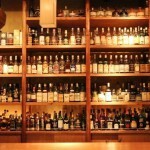 Aside from Katy Perry, this restaurant is visited by the actor Hugh Jackman, Arnold Schwarzenegger, as well as the world leader like President Barack Obama and Prime Minister Shinzo Abe also comes for a luxurious dinner at this restaurant! Kyary Pamyu Pamyu is a famous Japanese model and singer, who is well-known for her unique, vivid Kawaii fashion. 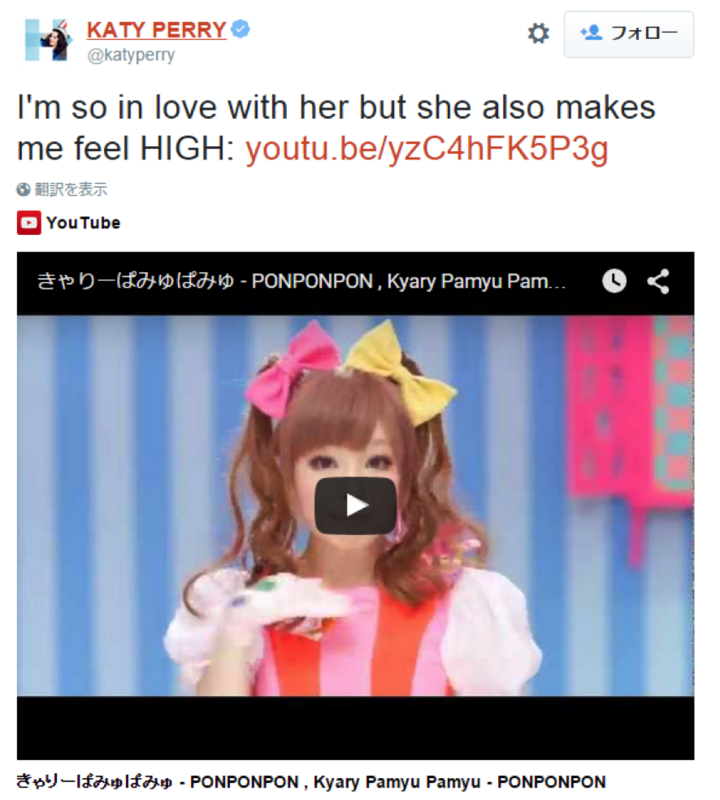 In western countries, she is also called the ‘Harajuku Pop Princess’. 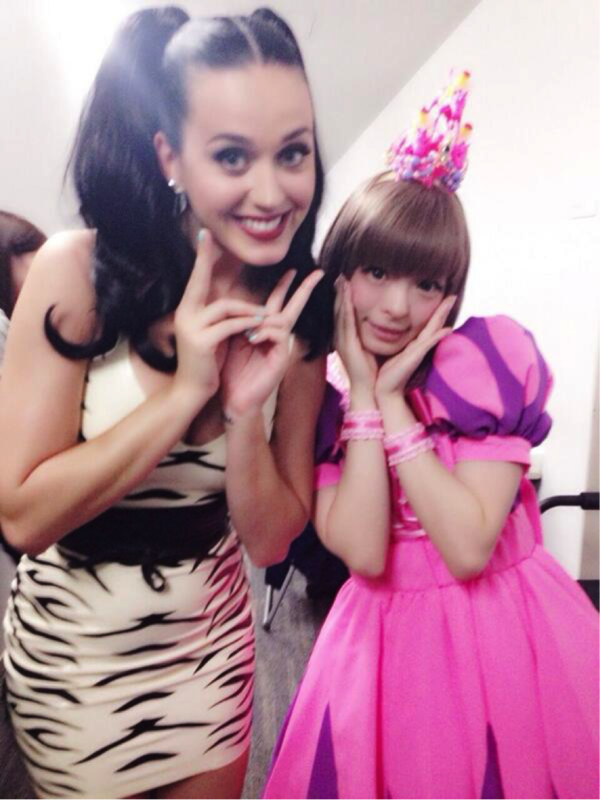 Katy Perry is a big fan of Kyary Pamyu Pamyu and even went to her concert!